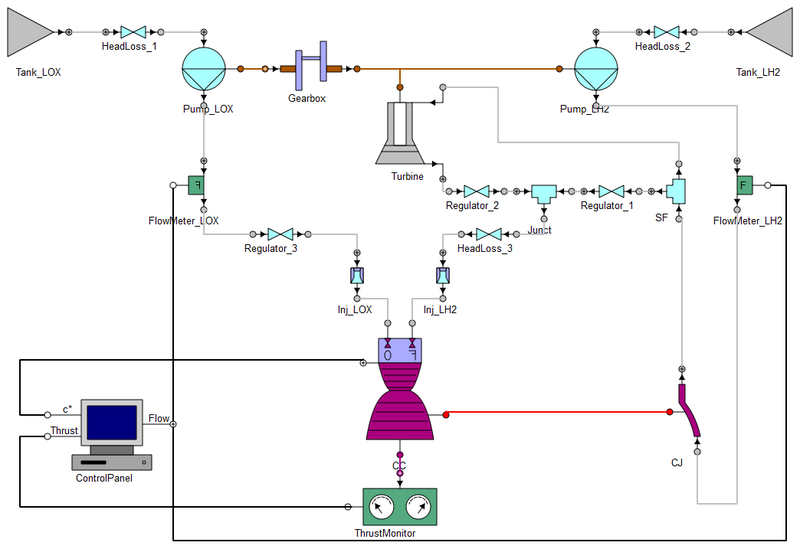 The LPRES library, which stands for Liquid Propellant Rocket Engine Simulation, is an educational library that contains components to predict the behaviour of the different configurations that a liquid propellant rocket engine can have. The LPRES library is built to emulate the elements of the professional ESPSS toolkit. The LPRES library employs simple models but it can address the simulation of real systems with many elements. The advantages that the LPRES library presents are that it can be used with the Educational version of EcosimPro and, moreover, its learning curve is much faster than the learning curve of the ESPSS toolkit. 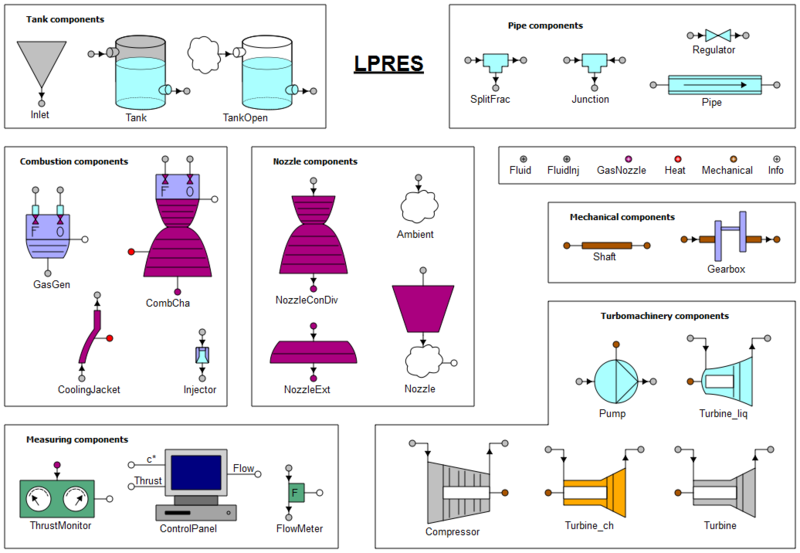 The LPRES library consists of several components representing the basic elements that make up a liquid propellant rocket engine. Several examples of use of the LPRES library are included in the LPRES_EXAMPLES library. These examples greatly facilitate the user’s learning process. There are two types of examples: test cases and example engines. The test cases are examples in which few components are tested. They show in a clearer way the performances and capabilities of the components included in them, since this is difficult to observe in a most complicated example. They prove to be highly useful to users in understanding the most complex models of some components. The engine examples show the capabilities of the LPRES Library to simulate complete engines. A gas generator cycle, an expander cycle, a pressurized rocket engine and even a jet engine cycle are included. To validate the results, a comparison with the ESPSS toolkit or with measured values has been made in some examples. In this test case, a closed cycle bipropellant rocket engine has been modelled. Specifically, it is an expander cycle belonging to the RL10 rocket engine. The propellants are stored in two tanks: one for the oxidant and the other for the fuel. Two pumps are in charge of separately pressurising the propellants. Then, the fuel goes through some channels used for cooling the nozzle. After passing through the cooling system, the fuel heats up, thereby increasing its enthalpy enough to move a turbine located at the outlet of the nozzle cooling system. This turbine is the one in charge of powering the pumps. After passing through the turbine, the fuel is injected into the combustion chamber along with the oxidant. Finally, there are several measuring elements to calculate characteristics achieved by the whole assembly, such as the thrust and the specific impulse. The following plots show different variables of the rocket engine calculated for different values of the mixture ratio. They are: the total pressure drop in the Regulator_3 to have a constant mixture ratio in each branch, the non-dimensional flow through the turbine, the total mass flow through the nozzle, the combustion pressure, the cooling jacket outlet total temperature, the thrust and the specific impulse.